Ray Burke, Ph.D., Co-founder of Apex Regional Program, is a research psychologist and licensed therapist with more than 30 years working with children and teens who present behavioral and academic challenges for their families and schools. Dr. Burke has more than 30 publications related to parent training, educational interventions, and prevention programs. Dr. Burke's most popular book, Common Sense Parenting has sold more than a quarter million copies, in more than a dozen languages. Dr. Burke consults with schools nationwide on classroom management and student behavior issues and recently completed a 7-year, multi-school and district project to replicate effective classroom management practices in elementary and middle schools (Burke et al., 2011). During Dr. Burke's 27 years at Boys Town (NE), he spent several years working with the U.S. Air Force Family Advocacy Program replicating the Common Sense Parenting program to help prevent child abuse at more than 60 bases throughout the world (Thompson et al., 1997). Dr. Burke is an Assistant Professor, Courtesy Appointment, Department of Psychology, Munroe-Meyer Institute for Genetics and Rehabilitation, University of Nebraska Medical Center, and has taught at the University of Nebraska, Department of Education and Human Sciences for 24 years. 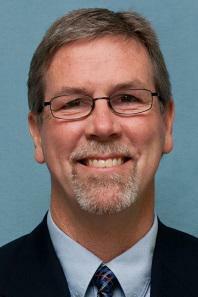 In 2007, Dr. Burke co-founded The Prevention Group, an Omaha-based research collaborative involving professionals in psychology, education, medicine, developmental disabilities, business, artificial intelligence, statistics, and computer software development dedicated to developing and evaluating programs, software, and services that help neuro-typical and neuro-atypical children and adults. Dr. Burke recently served as Vice President, Research, Evaluation, and Program Development for Behaven Kids, a specialized day treatment program and alternative school for young children. Katy Bowen has a bachelor’s degree in psychology from Grinnell College, a master of arts in education from Northcentral University, and a K-12 Instructional Strategist II: Behavioral/Learning Disabilities Endorsement from Morningside University. Katy has 10 years of teaching experience ranging from kindergarten to high school. She has experience teaching a diverse group of children. She spent the first three years of her teaching career teaching at-risk teenagers from a reservation in Arizona. She then spent four years teaching at Behaven Kids, a specialized day treatment program and alternative school for young children. While working at Behaven Kids, she was in charge of curriculum and developing individualized treatment plans for her students. She worked closely with schools to help with successful transitions back to the school. She also has coached high school basketball for the past 10 years as well as volunteering as a youth basketball coach.